Today we ask the question, “Who should get mammograms?” The guidelines for mammograms have been changing. So, where does that leave us now? 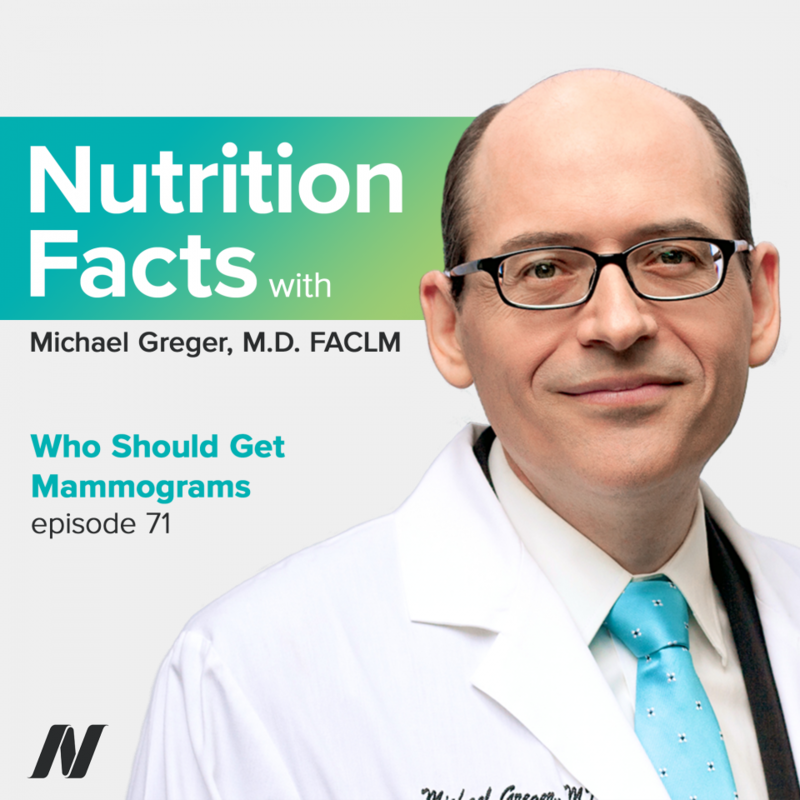 This episode features audio from 9 out of 10 Women Misinformed about Mammograms, Mammogram Recommendations: Why the Conflicting Guidelines?, and Should Women Get Mammograms Starting at Age 40?. Visit the video pages for all sources and doctor’s notes related to this podcast. There are lots of good reasons to try and follow a healthier diet—you lose weight, you feel good, but the main reason–to live a longer, happy productive life. Sounds good, right? And though it may sound deceptively easy, the devil is in the details. Welcome to the NutritionFacts podcast. I’m your host Dr. Michael Greger. Today, we ask the question, “Who should get mammograms?” Some women, all women, no women? The guidelines for mammograms have been changing and none of the authorities seem to agree. Should women start in their 40s, 50s? Every year, every other year? Well, as it turns out, most women are just being told what to do, rather than being given the facts necessary to make a fully informed decision. Here’s the story. When women are fully informed about the risks and benefits of mammograms, 70% may choose not to get screened. But you may be in that 30%, and you have a right to decide for yourself. 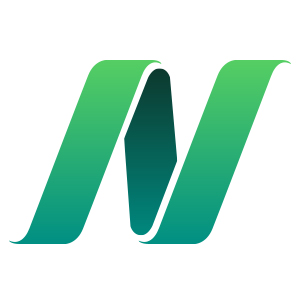 Most people have never even heard of the USPSTF, but it’s “considered the leading independent panel of [nongovernmental] experts” when it comes to prevention—considered the “gold standard for preventative care,” since they have a reputation of sticking more with the science, for example, “recommending against” teaching women to do breast self-exams. Why? Because it doesn’t appear to work. It was put to the test—hundreds of thousands of women randomized to do self-exams or not, and no benefit—in fact, only harms: doubling the number of women who had to get biopsies taken, but not actually shown to decrease the risk of getting breast cancer, or dying from breast cancer. It didn’t catch tumors in earlier stages. Now, to be clear, they didn’t come out against breast self-examination, but “against teaching” women how to do them; reminding them to do them only appears to cause harm with no benefit. If you do discover an abnormality, then definitely tell your doctor, but telling women to get into the practice of looking seems to do more harm than good. Yet, most doctors continue to teach women to perform self-exams. But wait; it’s not been shown to help, and, in fact, has been shown to harm, so why do doctors keep doing it? Because that’s just what we’ve been telling women forever. So, there’s this medical inertia that may trump women’s health—even without a multibillion-dollar industry pushing for the practice to continue. Even without Big Business tipping the scales. Now, consider mammograms. Billions of dollars of revenue every year from sticking with the status quo. Maybe the $7.8 billion spent annually on mammograms “might be better spent on something else.” Of course, “[o]ne person’s cost is another person’s income.” These billions of extra dollars from the status quo may “best explain the organized resistance to the…USPSTF panel [conclusions].” For example, breast radiologists denounced the panel, “implying that the panel members were guilty of a callous disregard for the life and well-being of women,” all while the American College of Radiology is receiving millions of dollars of donations from mammogram machine manufacturers. Yeah, but in the case of self-exams, it was put to the test, and the science was clear. It’s a no-brainer that harms outweigh the benefits, when apparently there are no benefits. And, the same appears to be the case with starting mammograms at age 40. It was put to the test to specifically address “the population-wide efficacy of mammography screening starting at..age…40…,” and it started out looking like it might help, but ultimately failed to show any benefit in terms of lowering one’s risk of dying from breast cancer. Instead, they just found harms, so-called “overdiagnosis”—all the chemo, radiation, and surgery from the detections of what looked like cancer, but may have never caused any problems had they never been picked up. The same thing happened 20 years ago, when “a National Cancer Institute…consensus panel arrived at [the same conclusion],” but the Senate voted unanimously “to ignore” them. The number one killer of women is heart disease. Why not focus our billions on more effective interventions? “Since health care dollars are limited,” maybe we could be doing more for women’s health. But hey, it could have been worse. The original bill “would have denied funding for any future USPSTF mammography recommendation[s],” period. And “[s]ome members of Congress [even proposed] to alter the Task Force’s composition to include ‘stakeholders from the [mammogram machine manufacturers],” so they can play a more direct role in influencing policy. To see any graphs, charts, graphics, images or studies mentioned here, please go to the Nutrition Facts podcast landing page. There, you’ll find all the detailed information you need, plus links to all of the sources we cite for each of these topics. Be sure to check out my new “How Not to Die Cookbook”. It’s beautifully designed, with more than 120 recipes for delicious, plant-based meals, snacks, and beverages. All the proceeds from the sales of all my books all go to charity. I just want you to be healthier. Mammograms: Too Much of a Good Thing? Laughing, I was listening to this again and got to their thought “That women might get all confused” and I am going to say that is 100% likely. In my mind, in the current culture, nearly every single topic is presented in the most complicated battle of perspectives, where people insult each other and battle for control, rather than listen to each other and have a discussion. When I was young, I lived in a town, which was so Mayberry that people who haven’t experienced it wouldn’t believe me. Nobody locked their doors until a few years ago. Farm stands left a basket for people to pay on the honor system. The person who owned the auto repair, would still drop repaired cars off at people’s houses and he would pick up a rake and rake their leaves. He passed away a few weeks ago, but it just still has been that way until other cultures creeped in. We are a poor town, attached to a wealthy town. The bad side of town, where people go to church more and where town meetings sometimes are standing room only. But we are not what America is anymore. Laughing, because I am related to someone famous from the Revolutionary War and every once in a while I go to one of his historic places and thank him and say, “I know it was just as political and just as greedy back then, but somehow, some areas stand still in time while the others speed ahead in technology. Simplicity – Walden Pond – Mayberry those are concepts of America past. How did I end up in this generation? That is what I want to know. Simplicity is WHY I am most attracted to WFPB. It is the effortless, in such a complex world, where nobody anywhere understands almost anything.